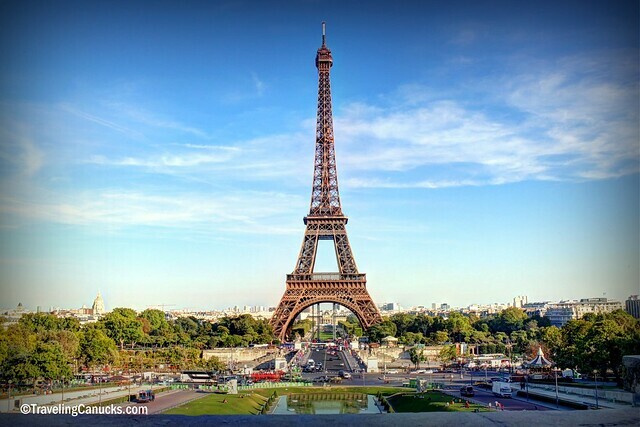 Okay, so it’s one of the world’s most photographed attractions and you’ve likely seen this image hundreds of times before, but you can’t visit Paris and not capture the Steel Lady – that’s just crazy talk! The last time we visited Paris was during the winter while on a snowboarding trip to the French Alps, so it was a whole new experience seeing the Eiffel Tower on a sunny summer afternoon. The line-ups to go up the tower were absolutely insane that afternoon (go figure, Paris in the summer?! ), so we decided to skip it and instead snap some photos from across the river, at the Place du Trocadero lookout point. Have you visited Paris? What was your most memorable moment in the City of Love?